My recent editorial about Liberty Belle was, for the most part, well received and for a while I was pleased. But then today I received a comment from another B-17 operator slamming me for having my facts wrong and, from what could tell, that my facts were wrong because he believed they had the best B-17 operation. Well, here’s the deal; my opinions and experiences are just that, mine. If you are incapable of understanding that, or, if anything written above a third grade level, of which I rarely am capable of creating, throws you so off course that you cannot understand the difference between an editorial and a news piece, then I do not give a rats rear end what you think. Sorry, that’s my opinion. Yet, after reading this comment and punching the stress-bag mounted firmly above my desk, I realized I owed this person thanks. While writing about my feelings on the loss of Liberty Belle, I failed to mention two other great organizations who have a common bond with Liberty Belle; The Lone Star Flight Museum and The Yankee Air Museum. Thanks to the reader’s comment, I remembered this oversight and decided I would make this separate post about my other two favorite B-17s; Thunderbird and Yankee Lady. 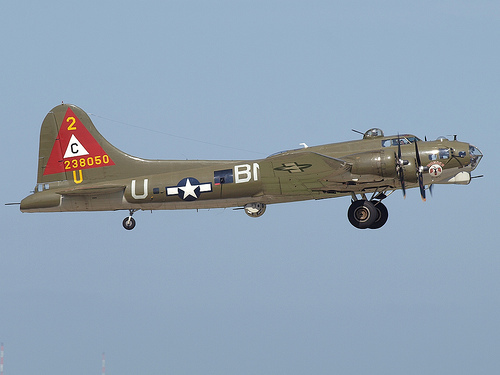 As I said, these organizations, both of which operate B-17’s, share a common bond with Liberty Belle. They’ve each had their disasters. Lone Star was severely pounded a few years back by a hurricane and The Yankee Air Museum was devastated by fire a few years before that. Loss though is not their only similarity. Each of these organizations has a wonderful group of people who fly and maintain their planes while dedicated volunteers keep their museums alive. Because of this, both organizations have come back from the brink of destruction more committed than ever to keeping the story of WWII alive. Let’s hope Liberty Belle is able to do the same. 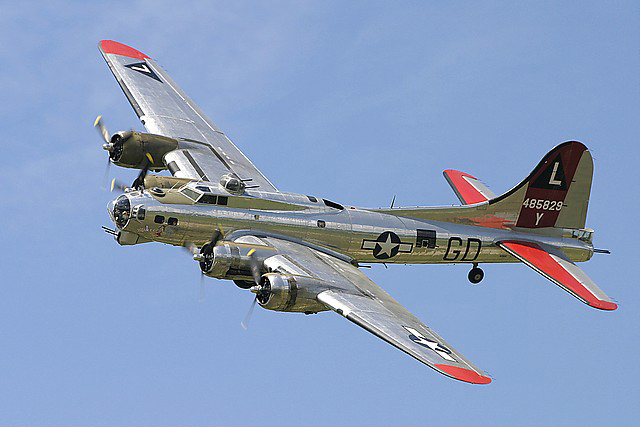 Meanwhile, if you want to go for a ride on a B-17, I highly suggest you look up "Lone Star" and "Yankee", check out their flight schedules, and go for a ride. They are first rate operations and you won’t forget it. You wrote: "Well, here’s the deal; my opinions and experiences are just that, mine. If you are incapable of understanding that, or, if anything written above a third grade level, of which I rarely am capable of creating, throws you so off course that you cannot understand the difference between an editorial and a news piece, then I do not give a rats rear end what you think. Sorry, that’s my opinion." While I recognize that your piece goes on a bit more rationally after that little gem, I feel compelled to comment on your first reaction. Folks like you (and Jim Campbell) like to hide behind "it's only my opinion" (or "analysis") when they're challenged. Sure, you're entitled to your opinion, and no one else probably gives a "rat's rear" what you think either -- until you begin to broadcast that opinion. You have a right to broadcast it, but you're shockingly naive to think provocative opinions won't draw a reaction from those with different opinions who have a perfect right to broadcast theirs too. Freedom of speech doesn’t mean freedom from challenge. You don't want feedback? Then shut up. Freedom of speech? Perhaps you have me confused with someone else. You are entitled to your speech and that is why this comment area is open for you to leave comments, even anonymous ones. I did not say you shouldn't comment. I merely said I prefer comments that make sense. You wrote, "I did not say you shouldn't comment. I merely said I prefer comments that make sense." No, that's not what you said. You said, "If you are incapable of understanding that, or, if anything written above a third grade level, of which I rarely am capable of creating, throws you so off course that you cannot understand the difference between an editorial and a news piece, then I do not give a rats rear end what you think." That's far from your more reasoned comment above.